I work at Madison College as the Program Director for Both the Diesel and Heavy Equipment Program and our Motorcycle Safety Program. Basically, I help people learn to fix trucks and ride motorcycles. Prior to this I did have a career in real life as a Diesel Technician, Shop Foreman and Service Writer for a Truck dealership for 11 years. I also moonlight by helping to educate MSF instructors in Wisconsin. When I’m not at work I’m usually doing something with my family. Sports with my kids, hanging out and reading books, or bombing around the yard with the kids on their CRF50. 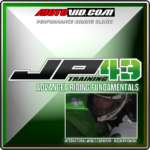 2013 will be my 8th year with the Diesel and Heavy Equipment program, my 6th as an MSF instructor and my 3rd season with Motovid. I’ve learned lots in each place that has helped me grow as an instructor and has been put to work in each other discipline. 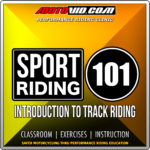 Last season at Motovid, I lead a few classrooms during track days, and also had the opportunity to step in and lead a Sport Rider 101 clinic last year. I hope to do a little more of each this season. In addition I hope to find a way back to try out a little more Land Speed Racing and up my personal best. So far the same bike I occasionally take out to lead the novice group has gone just over 217mph in a standing mile. 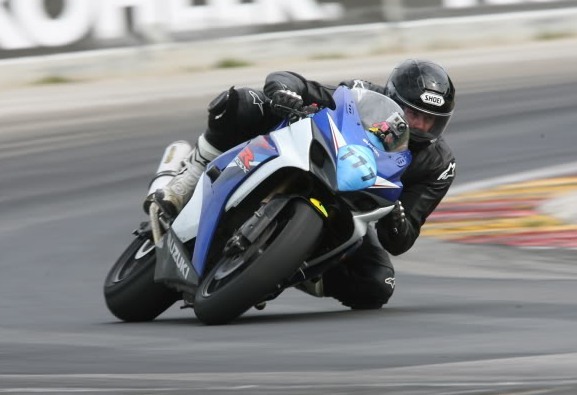 As you might guess, it doesn’t’ make the best track bike, but it makes it much easier to leap frog customers and get things back under control if the need arises. Come with an open mind and attempt to loose your pre-conceived ideas. We can help anybody be safe, predictable, and progress as they desire. This usually starts with backing it off a notch and working on the basics to help you become smooth in all your inputs. 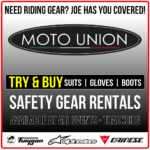 Whether your goal is gaining experience and riding techniques that you can put to use on the street to make you a safer rider, being a track champion or lap record holder, or somewhere in between. 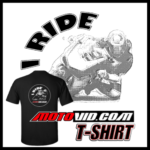 The Motovid staff can help you to attain your goals. I encourage everybody to ask questions and ask a staff member for a little help. © 2004-2017 Copyright MotoVid.com All Rights Reserved.